Last year, as a blogger, I would say that I was pretty successful. And my definition for blogging success for this particular instance is basically purely financial reward. I got a lot of endorsements, I got a lot of advertisers, etc. But the thing is, for some reason, I also realized something more important. I realized that blogging for me means so much more. Do you know the look that children get when they see a new toy on the shelf that they really want? That’s how I look every time I get to think of a new topic that I want to write about. There are times when I would wake up in the middle of my sleep and wonder why, even if I forced myself to, I couldn’t sleep. And the only thing that could help me get through the night is when I open my computer, and write something – – – something from the heart. People ask us on what makes a blogger successful, and to this I throw back the question, “what is your definition of success?” I realize that what most bloggers need to see is that there is more to blogging than what people know of it to be. And, it’s not about monetary rewards or the popularity or events. Blogging or writing posts changes you as a person. With every word and with every sentence, you not only present a whole perspective to your readers, but you actually get to know yourself better as you dig deeper. With blogging, you get to understand more and more about yourself regardless of what intention you have set for a particular post. 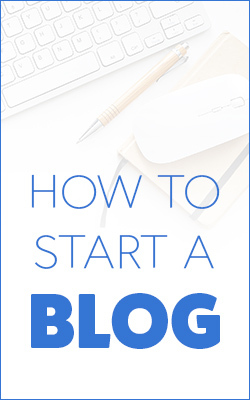 Whether it be a sponsored post or a unique topic that you have thought about, as long as you write it from the heart, blogging will definitely take you through the process where you honestly think about what and how you feel about certain scenarios or certain circumstances. It’s not easy being a blogger. People think that you just have to grab your laptop and type away. But in reality, with every post that you write, you slowly unhurl pieces of yourself that you have never discovered before. I think with blogging, I have become a better person. You can be a better person. I think that writing and blogging has made me more sensitive as a person. I think that blogging has made me a calmer, rational-yet-in-touch-with-my-emotions kind of a person. Looking back, I know that I am a better person now and I think I know more about myself now than when I first started writing. Will I continue writing? Of course, I will. I know that there are still some things about myself that I have yet to figure out. Will you come join me in my journey of discovering the secrets of life and love? P.S. Check out Manila Workshops Blogging related workshops! When I was child, I used to have so many dreams. I wished that I could be an architect, because I wanted to build houses. For a time, I dreamed of becoming an equestrian because when I looked at them, I thought them to be very elegant. I also wanted to be dancer, a gymnast, a sportscaster, a lawyer, a travel journalist, a stylist, an actress, an olympic athlete, etc. But eventually, I just stopped dreaming. What stopped me? Well, life got in the way. Life gets in the way for most of us. I was scrolling through Facebook and I saw this short clip from Up in the Air where George Clooney mentions the line “what did they pay you to give up your dreams?” This is a sad truth for all of us. We know what we are passionate about and then we lose track of it and eventually we forget it, because we get lost in the daily grind of trying to earn income to sustain our lifestyle. I had this conversation once a few days ago with the lady. She took up ballet and did pole dancing. What was intriguing that she was in her 30s when she started. Her classmates in her ballet classes were all 12 year old girls. I admire people like that because they don’t let their age, pride or their life, get in the way of their dreams. When I met with Tina of FluffyPwets a few months back, and we discussed having this collaboration, I didn’t know exactly what design to do. I just told her that it would be a great idea if she could partner up with people and bring out their personalities and advocacies using cloth diaper designs. And then one day, Eureka, an idea hit me. Why not make people realize that going for dreams, the dreams that they had when they were once children, is still possible. Why can’t we pursue our dream of being a teacher or a soldier or a ballet dancer? What is stopping us? Pursuing a passion or passions have been a big thing, but for many people my age, we think that we have tons of responsibilities already so it might be best to set these dreams aside. My question to you though is would you be content with knowing that you lived this life not knowing how it feels to make, create and go for the dreams that you had once when nothing was stopping you? My collection for Fluffy Pwets shows different the different dream roles we had when we were children (bonus is that the characters are shaped like meeples for those who are into board games, plus we have a jedi somewhere in the design! Sorry, Star Wars fan here!). It’s entitled Eureka and it serves as a constant reminder that we are all capable of dreaming, believing and making it all happen! I really hope that you like and purchase this design. This was designed by the very talented, Ramil Vinarao of @quackandmeow. Please check out also the other designs of other collaborators, Amanda Griffin – Jacob, Dimples Romana, John Arcilla and my good friend, Martine De Luna. We hope to see you on January 28 and 29. Do join me, too, on January 28 at 3PM for a FREE workshop on Pursuing Passion! All of a sudden, I knew that I was going to live my life differently from now on. As you may have noticed, I have less sponsored posts in my blog now (this year). I’m sure you all know that I have been earning through brands that advertise through the site, and I don’t keep this a secret. 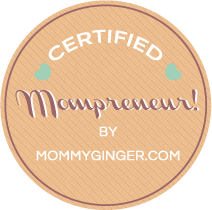 I share my business experiences in this blog, and there is no shame in admitting that I earn through blogging. In the last few years, I have set my eyes on trying to reach a lot of people and was hoping to follow the path of my idols, Marie Forleo and Natalie McNeil. Both women made it big by branding themselves as mentors and industry experts. Marie has her own B school and people from around the world attend it. Natalie McNeil has her site SheTakesontheWorld.com and was deemed by Forbes magazine as one of the sites for women entrepreneurs to visit. So anyway, early last year, I took on a path similar to theirs. I launched GTV, my own channel where I talked about tips on how to start your own business. I also continued my Love the Leap program which is a 3 day course on entrepreneurship. I did business and brand coaching. Aside from that, I got contracts for brand endorsements, etc. I love it, and I still do. But recently, I saw my life differently. I realized that now, I have other alternatives and sometimes, the best way I can help individuals pursue their dreams and achieve their personal and business goals, is if I focus on the my own businesses. I realized that ManilaWorkshops.com, LoveLearning.co and MemoryCrafters.com.ph all have noble causes of teaching the core value that every entrepreneur should have, which is the willingness to learn and the desire for self-improvement. I also realized that through writing more about what I experienced and felt every day through my blogs and my social media accounts, I could do what I really enjoy doing, which is to have conversations with people. This year, I am bent on making every minute count. I am bent on looking at every second, every minute of my life as something valuable — something that will mean something, something that will make a difference. I had a conversation with a friend recently and she was asking me what my happiest moment was. I did not hesitate and immediately said it was the day I gave birth to my daughter. That was the day my life changed completely — totally — drastically! Haha! As a first time parent, I now know the importance of sleep. I now know how it feels to be completely responsible for another person’s well being and safety. I now know how much love you can actually give and I mean real love — the love that is defined by sacrifice and putting another person’s needs first before yours. Being a first time parent means a lot of joyous and super fun days, but also a lot of days of frustration and worry. It means having to go through the highest of highs of moments like hearing your baby’s first words to the lowest of lows, like when postpartum depression hits and times when you feel ugly as hell. But what I want you to know is that all of these are normal and first time parents undergo these things. Your lives will definitely change, but there is nothing compared to the feeling that you get when you see your child for the first time. Manila Workshops and The Parenting Emporium want to help you prepare for your lives as First Time Parents by sharing with you a series of workshops that you can attend. The first workshop will be on January 30, 2016. I’ve been thinking on what and how I will motivate you to start your business and I thought about comparing it to losing weight. Dang! Losing weight is so hard. Just this year, I was talking to a friend from the States (*Hi Kat! *) and she was telling me how bad she wanted to lose that extra layer of fat that remained after she gave birth. Man, I remember the time two years ago when I had my daughter and I really wanted to get back to my weight fast. It was definitely a struggle. So anyway, I gave her a copy of this book by my idol Timothy Ferris, which was the 4 Hour Body. And I really swear by this book! It changed the way I viewed losing extra fat. He talks about simple steps that you can take to lose weight, and believe me I did! After I gave birth, that was the “chubby-est” I have ever been and after I read and followed his book, I am at the LEAST chubby-est state that I have ever been… haha! Anyway, here is the link to the book in Amazon. So after sharing the book, and after my friend read the book, she was seriously determined to do the simple steps. After two days, she messages me on Facebook and tells me she can’t do it, because she has to eat fruits. My poor friend loves fruits, but in the book, it really states that you should give up fruits since it contains sugar. So, bottom of the story is I know that it’s really hard to start going into something that will obviously change everything about your life. That’s the same with business. Once you have thought and decided to go into business, here are some things that you can do to finally get you in the groove to start that business that you want. 1) Create some visual motivation. In my case, I create a vision board and pin it to the corkboard in my room. This vision board are split into short term goals and long term goals. Another thing that I do is print out the business canvas of my business and the projections. These are the things that I consider to be my maps in my business / startup journey! Always have these things accessible so that you can always go back to them and check if you are still on track. *BTW, watch out for the announcement for a visual business plan workshop this January. These are perfect for people who love to see beautiful things or colorful things. Business plans can be colorful, cute and fun to make, too! Subscribe to ManilaWorkshops.com Newsletter to get updates. 2) Designate a planner, journal or notebook that you will use for your business, and write one main objective that you need to accomplish everyday. These objectives may seem menial, like writing an email to this person or messaging a business partner, but each task will take you a step closer to the goal. 3) Block off one full day at the end of every month, starting this January to assess how far you are from your goals and to see if you really are moving towards that dream. This really helps me a lot, since at the end of the month, I really get to review and have a conversation with myself (just like a crazy person!) as to whether I did enough or I still lack in being pro-active. It’s really hard to get the ball rolling when it comes to creating a business, but take these little steps and you’ll go a long way. Before you know it, your business will be up and running in no time! Do you have other tips that you want to share? I would love to hear them! Just leave a comment below!